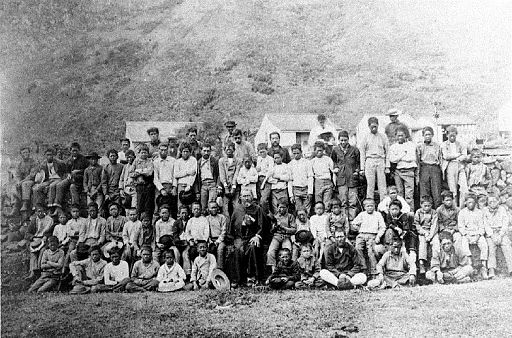 In the late nineteenth century on an island known as Molokai in the Hawaiian chain, there was a colony of people who had been cast away because of their terrible disease, leprosy (Hansen’s disease). The disease results in open sores, disfigurement, and eventually death. Who would dare to risk contact with these people, leave home permanently and voluntarily be cast away in order to care and minister to them? Church leadership looked for someone willing to risk it. 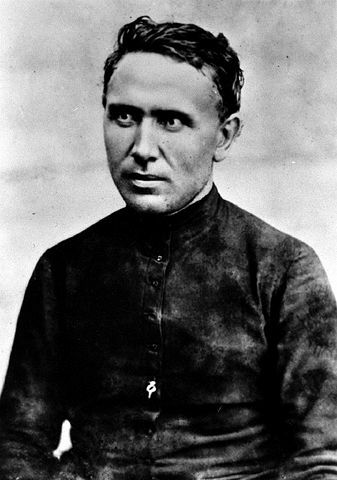 The fear and the price of sacrifice led to no volunteers except one, known as Father Damien, who upon reaching the island found people in utter despair, pain, and moral brokenness. For many years he cared for them with deep compassion, embracing and teaching them without fear until the day came when Damien, himself, contracted leprosy from those to whom he ministered. They really listened to him then. While on the island, Damien refurbished and built two church buildings, which functioned as community gathering places. Through his sacrifice, devotion, and compassion many people on the island were better able to hear and see God. Despair turned to hope, selfishness turned to love, and unbelief became faith. The sight of people gathering together with a common affliction to be united in faith, hope, and love is a very beautiful spiritual thing, which exceeds the natural beauty of the island itself. Seeing myself as the recipient of even greater compassion from Jesus, I am reminded that I am not much different from the lepers of Molokai. The flaws in our own character, destructive thoughts, and sinful behavior carry an ugliness worthy of isolation. As long as we can hide it, society might accept us. But when signs of the plight begin to emerge, we risk being considered unwelcome, dishonorable, or unlovable. Thankfully Jesus was willing to befriend us in our state of decay and sacrifice His own life as the solution to against our death-sentence. His compassion has opened the door to our restoration. But its not a healing that will lead to our acceptance by the world, instead, its the kind of healing that will last forever within a community that will carry a higher level of acceptance, love, and respect than this world has never known. Would I be willing to show as much compassion as he did to the hurting people of this world, even the people who are most overlooked? How much is too much to risk? And, to what extent would I go to help those who need love, acceptance, teaching, and compassion? To read more about this story visit, click here. Or watch the 1999 film, Molokai: The Story of Father Damien. 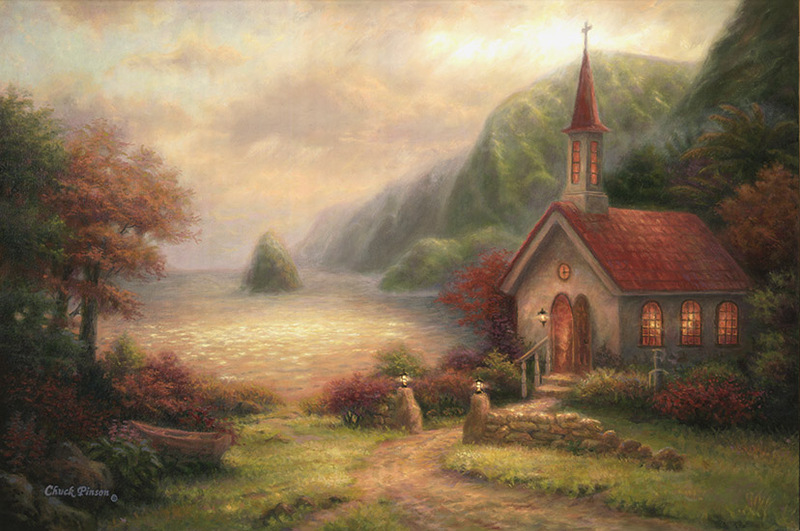 “Compassion Chapel,” Oil Painting. 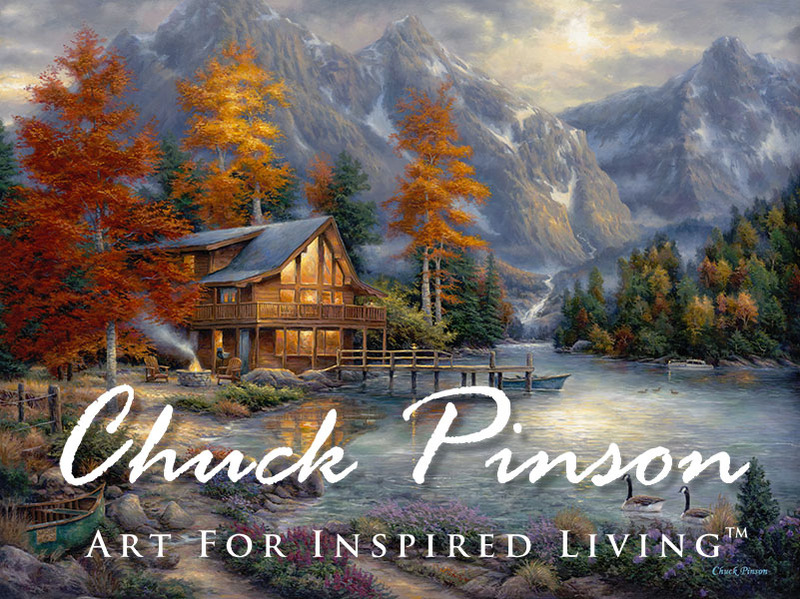 By Chuck Pinson. I'm a professional artist with a passion for spiritual truth, beauty, Christian missions, theology, and discipleship. I currently reside in Duluth, GA, USA with my wife Deborah and our new baby girl. 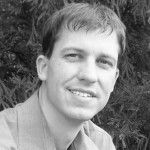 My college training focused on Bible, missions, and theology degrees. And while I earn my living from painting, I hope my efforts in art, films, and writing will ultimately bring glory back to the One from whom all good things come and the world will be changed, if only in a small way, for the better.